If you have been going from blog to blog to find out the perfectly perfect Christmas gift for your loved ones, you got to read this one too! Check out in the article below the top and most popular Christmas gifts for the year 2016. For all the cat-lovers out there, the Christmas would be very merry with this glass in hand, because everyone can fathom the pleasure of getting the personalized gift of what they adore. The writing is laser etched. “I love this wine glass!!!! 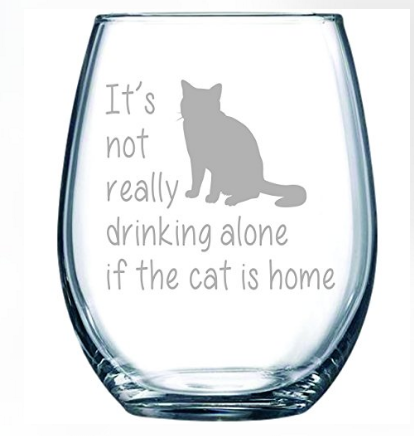 I am a cat lover, so this wine glass was perfect for me! The wine glass came nicely packaged in a tube shaped box. The etching done on the wine glass is nicely done, they did a fantastic job on this wine glass. This is my new favourite wine glass. The quality of the wine glass is excellent; it is well made. This is a thicker wine glass than the typical stem wine glasses. I feel like it won’t break as easily as my other glasses, it is more durable. I have been washing this cup by hand as I am afraid a dishwasher would ruin it and I don’t want to risk it. The listing, however, does state it is dishwasher safe, so I am going to try it in the dishwasher. The saying on the wine glass looks elegant when the wine is in the glass. I would highly recommend this wine glass, especially to a cat lover!! ” – Amazon’s Customer Review. 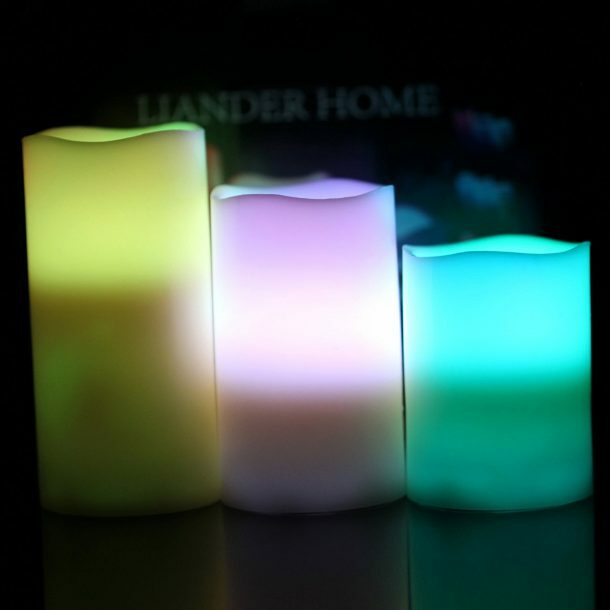 That’s a pack of three, flameless glow candles operated by battery and an electric remote. The unit has 12 color settings to choose from and is weather resistant hence ideal for indoor or outdoor use. Each glow candle requires 3 AAA batteries. Ideal for decorating during Halloween, Christmas, Thanksgiving etc. “I’ve been burning through candles at an extreme pace and almost gave myself a heart attack when an unusually high gust of wind blew my curtain near a lit candle barely missing setting my house on fire. In steps these amazing flameless candles. They look like the real thing, and I love the remote. I have been looking at LED candles for a little bit but was annoyed about the idea of having to flip them over and turn each one one. The remote allows me to put them high up on a shelf and make my bedroom moody and dramatic. I like these!” – Amazon’s Customer Review. This is a durable, environment-friendly, comfortable couch pillow case. It has a hidden zipper closure although it comes with only the case and no insert. A solid purchase for the Christmas 2016. “I am very impressed with these pillows. They are made to last and look great. I was surprised by the size even though it states the size before ordering. They are a perfect size and the zipper makes it so easy to stuff the pillow and then zip, and you are done. If the pillow gets dirty, just unzip take out stuffing wash it and start again. 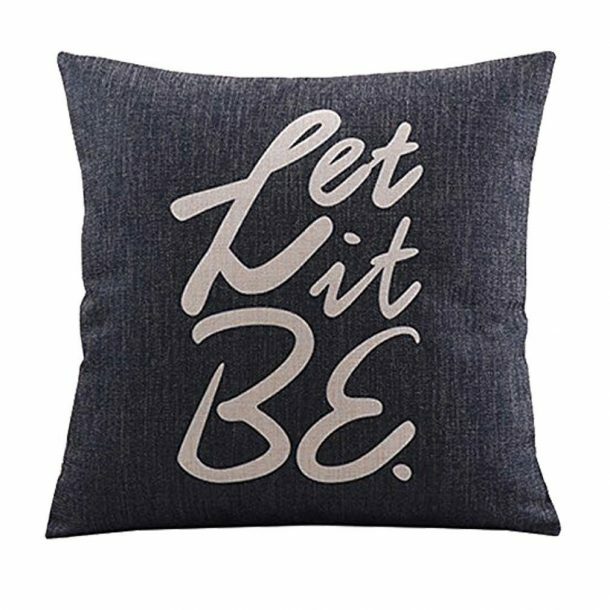 This was such a good buy on the pillows” – Amazon’s Customer Review. 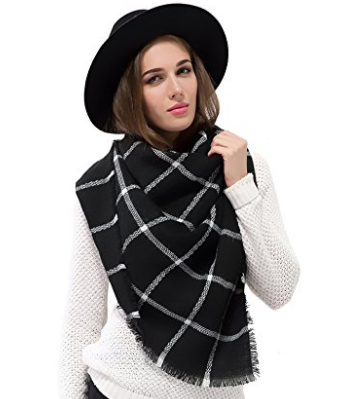 This is a square, blanket scarf shawl made from soft cashmere-like acrylic. It measures 55 x 55 inches when laid flat. It is an incredibly stylish neckwear for winters. “Love this scarf. It’s beautiful, and you can wear it so many different ways. It was perfect for pictures.” – Amazon’s Customer Review. If you have kids under five at home, you have got to get this interactive Georgie. This dog responds to your voice commands. In the over 100 interactions it can do, a few are as follows: high five, let’s dance, sit down, stay, stand up, tug-o-war, selfie. It comes with a rechargeable battery and cord. A happy Georgie for kid’s fun! 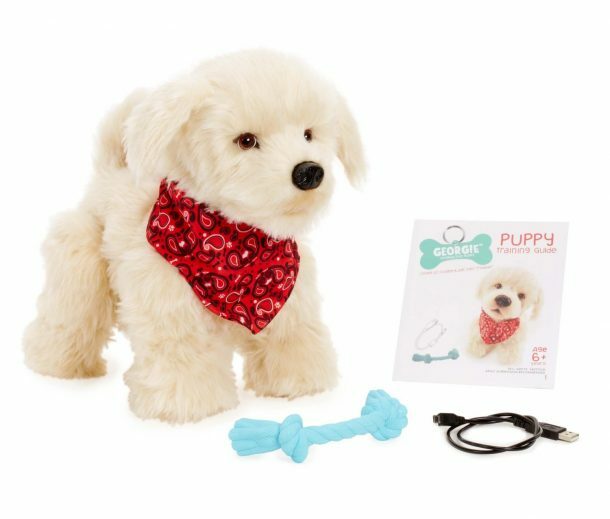 “My girls went crazy for this toy they really loved it there so attached to the little Georgie, it’s so fluffy and can follow order like a real dog, they dance with it ,they took a selfie , hi five, The dog is chargeable you don’t need to buy a lot of battery and waste money .” – Amazon’s Customer Review. 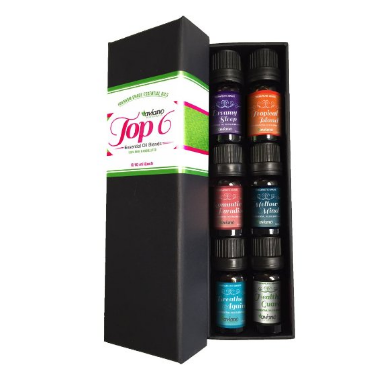 For all the girls, women, wives, mothers, daughters, this is an incredibly fantastic set of essential oils for aromatherapy. It consists of 10ml bottles each of breath again, dreamy sleep, health guard, mellow mind, romantic paradise, tropical island. Excellent quality and are 100% pure, undiluted essential oils. “I am very impressed with these oil blends! They all have a very natural and organic smell! They have a more floral undertone than many other brands that I have. I am not usually a floral lover, but it helps bring a full and beautiful rounded scent to these blends! The only one I don’t like is Romantic Paradise. It is just too floral for my liking, but I know many people who would love it.. it just isn’t my preference. I love Dreamy Sleep, Mellow Mind, and Breath Again! They are all very relaxing and soothing! They also blend very well together! Tropical Island is energising and has a sweet citrus type smell. They are potent, so it doesn’t take a lot in a diffuser to fill the room with scent. I am all in all jubilant with this oil collection!” – Amazon’s Customer Review. 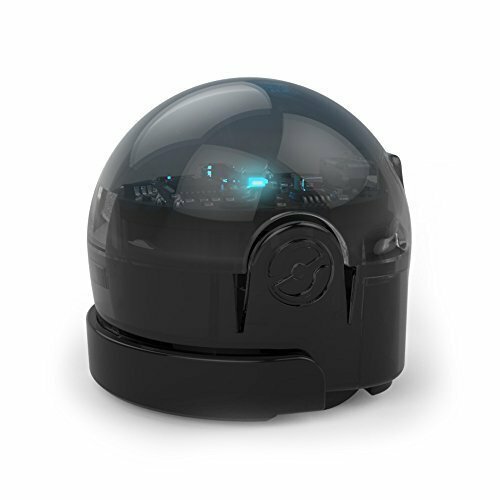 This is an educational toy robot that teaches children STEM and coding. It might be world’s smallest programmable robot measuring just over 1 inches with a lot of fun stored inside. You can play in-app games or download activities from the Ozobot website. Create your own challenges, games and activities.Build confidence and unlock your child’s potential with Ozobot Bit. This tiny programmable robot will enhance your child’s creativity and critical thinking skills and prepare them for a brighter future. “This is the answer to a problem I have been trying to solve for over a year now. I have always known I could not sit my nephew down in front of a computer and teach him how to code even though I taught myself at his age (13). I think it is highly necessary to test kids for various aptitudes and this is a great and fun way to test for a coding ability. I can tell you as a serious software developer myself this is a useful tool. It doesn’t matter that the child is not learning an actual programming language, but they learn the concepts. Once you learn the underlying concepts learning a language is just a matter of translating the ideas into proper syntax. Don’t get me wrong; it still will take a lot of studying and practising, but this is a great foundation tool.” – Amazon’s Customer Review. Another gift that you can hand over to potentially anyone on Christmas. This vacuum insulated bottle will keep liquids hot for up to 12 hours and cold for up to 24 hours. It has a capacity of 500ml and its exterior is powder coated for a colorful and highly durable, rugged finish. Will work great as a classroom, sports, office or site bottle. “Works like a charm! My husband is a plumber and brings this to work with him. He works in many areas from air conditioned homes to 95-degree outdoor weather. He has put Gatorade, milk, water and soda in the bottle and it stays cold and fresh! Put in in the fridge overnight to chill it, to help on those extra hot days!” – Amazon’s Customer Review. 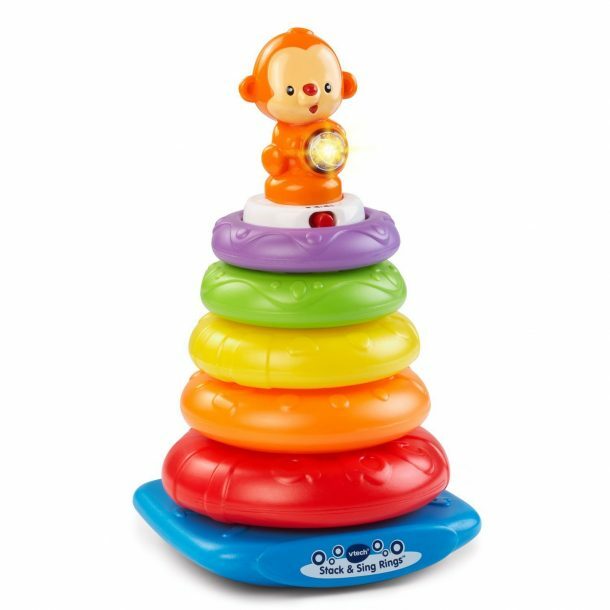 Aimed at developing the child’s mind at an early age (6 months to 3 years), these are stack and sing rings which feature a bright monkey light up and play melodies when the rings are stacked. The base wobbles for additional challenge and added fun. Baby stacking toy includes 40+ songs, melodies, sounds and phrases and runs on 2 AAA batteries. “Bought for 6-mo old grandson we babysit while Mama and Daddy at work. His Mama called him “Chunky Monkey” because he is a husky little guy. The monkey even says something like I’m a happy monkey and makes sounds. Grandson loves this! I started to order the traditional ring stack, but you can’t go wrong with VTech because of the pleasant sounds. He hasn’t quite gotten the hang of putting the rings on (sometimes accidentally does it! ha), but the sticker is still entertaining with encouragement (“keep stacking”, etc. ), songs, and lots of interaction when just knocking it over or pulling a ring off (seems to be easier right now to remove ring off than putting it on). Grandson also likes to chew on the rings. He has quite a few VTech items now (Mama got him the remote control and iPhone a month or two ago, and those are very entertaining as well.) 5 *****” – Amazon’s Customer Review. 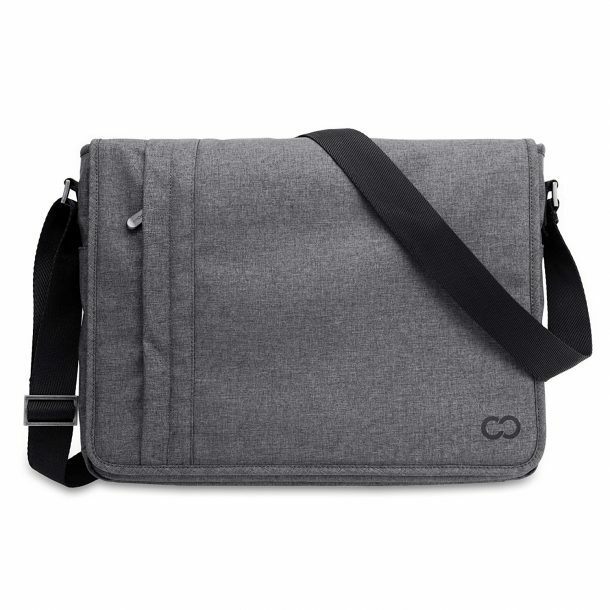 This is a stylish, horizontal messenger bag which can fit up to 13 inches laptop. It has a padded interior divider with elastic band and velcro closure for secure placement. The shoulder strap is adjustable, and the unit is made from durable, water-resistant canvas material. Pocket all your items in the stylish CaseCrown. “Because the bag is slim and compact there is only so much you can fit inside the bag. I was able to install the SP3, power cable/adapter, writing utensils, and a few other smaller items like a phone or two. Not much else can fit in the bag. If you need to put a binder or legal size notepad, you will have a hard time squeezing those things in. If all you are concerned with is the computer and it’s accessories, you will be just fine.” – Amazon’s Customer Review.